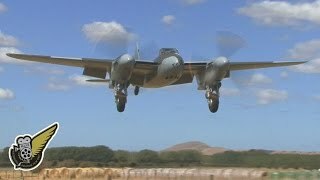 This week’s Feature Video is a short one featuring Jerry Yagen’s magnification de Havilland DH.98 Mosquito fighter bomber coming in to land at Hood Aerodrome in Masterton, New Zealand. The rumble of this aircraft as it passes overhead is simply awesome, and it’s great to hear the twin Merlin engines crackling as the aircraft slides down the runway. Yes, we’re back! Those of you who have been paying attention may have realised that it’s been over six months since we’ve been able to send out one of our ‘Feature Video’ email/blogs — it’s not because we haven’t been doing anything interesting, but rather it’s because we’ve been doing too much. For me (Allan) this has included a three month trip to the UK and Europe (call it a mid-life crisis OE if you will), while for Alex it has included packing up house and moving to a new location ready to start building a new home. With those major life events out of the way things are likely to settle down again and enable us to restart the semi-regular publishing of these updates. Having said that, here in the southern hemisphere we’re just coming into our main event season so we’re also going to be busy at a number of shows over the next few months — see below for a schedule of some of the main events coming up soon. For those of you in the Northern Hemisphere it may seem odd that down here we equate the increasingly warm weather with our annual approach to the Christmas holidays, but as the biting cold winter weather fades into the background we do start to think about what we’ll do during our Christmas and New Year break, and more importantly whehether we’re organised enough to get all our Christmas shopping done early. We’re currently working on several new products, including at least one new DVD/Bluray, and another new book, but unfortunately those won’t be available until at least the middle of next year. In the meantime if you do need any extra aviation related Christmas presents, either for yourself, or for someone else you know, make sure you drop by our online store to check out your options: Click Here For Christmas Gift Ideas. 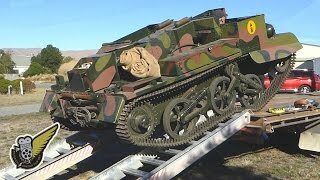 Phantom Camp Video: Some of you might recall from our last update earlier this year that aircraft restoration is not the only building work that’s happening at Omaka Aerodrome in New Zealand at moment. The Garrison Society Inc (established in 2012) is Marlborough’s largest Home Front & Military Historical Preservation group and they’re now the Custodians of a number of surviving buildings from RNZAF Station Omaka which was in use from 1941-1944 (these buildings were later used by the local Air Training Corps cadet unit for many years). 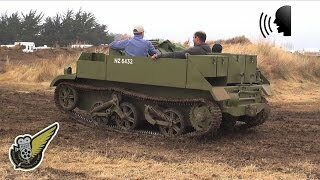 The site is to be restored to its former glory and will become New Zealand’s only working WWII Military Camp. We interviewed Garrison Society member Alex Smith earlier in the year – check out the video at right. Exclusive Motor Sport Tours: As many of you will know, aviation is not the only area of interest that we have here at HAFU — we also follow a lot of motorsport and we’re keen to support the activities of Tony Haycock, a prominent New Zealand motorsport writer/editor. With a background in the travel industry, Tony also runs a number of small and exclusive motorsport tours for enthusiasts who are keen to attend some of the world’s premier events, and in 2016 he’ll be taking a a group to the Bathhurst 12 Hour race, and the Le Mans 24 Hour Race in France. If you’re interested in either of these tours click the links above, or send Tony an e mail for more information. AUSTRALIAN EVENT REMINDER – 20th & 21st November 2015: Warbirds Downunder at Temora. Warbirds Downunder 2015 is being expanded this year to include a Friday Evening airshow on November 20th and a Full Day Airshow on Saturday November 21st. There will be plenty of aerial action for you to enjoy with most of the Museum’s aircraft collection taking to the skies as well as plenty of visiting aircraft. There will also be ground exhibits for you to see and enjoy while the children will also be occupied. 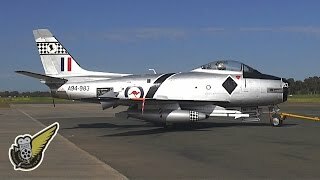 The show will be held at Temora Aerodrome, NSW, Australia. For more information keep an eye on the Warbirds Downunder website. NZ EVENT REMINDER – 22nd November 2015: New Zealand Warbirds Assn ‘Salute To Military Aviation’. Starting at 10:00am the show will include static displays as well as practice flying displays at 10:30am, 12:30pm and 2:30pm. Food and refreshments will be available and entry includes a chance to win a flight in a warbird aircraft. The airshow will be held at NZ Warbirds Hangar at Ardmore Aerodrome in Auckland. For more info keep an eye on the NZ Warbirds facebook page. You can also Click Here for a copy of the Airshow Poster and information. 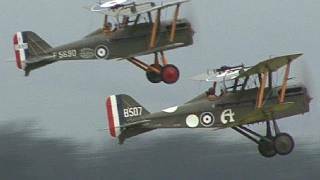 NZ EVENT REMINDER – 27th & 28th November 2015: The Vintage Aviator WW1 Flying Weekend – Flying is scheduled from 10.00am – 12.00pm and 2.00pm to 4.00pm both days, with a Saturday only option of 6.00pm – 8.00pm if flying that day has been held up with weather. 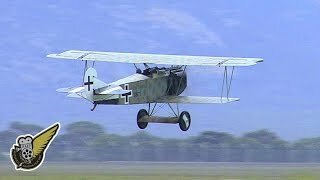 If you want to see TVAL’s originals or rare reproduction WW1 flying aircraft, you’ll need to attend a TVAL flying weekend. Tickets are $20 for adults and $10 for children. Hangar tours will also be offered outside of flying hours at $15 for adults and $10 for children. The event will be held at at Hood Aerodrome, in Masterton. NZ EVENT REMINDER – 23rd January 2016: Classics Of The Sky Airshow – Organisers of the show are excited about a new format for the events in 2016. There will now be two afternoon “mini airshows”, one in summer and one in autumn. Described as “family picnic type events”, the shows are scheduled for mid-afternoon to evening, with static and flying aviation displays, food stalls and children’s entertainment. Air displays at Tauranga Airport will start in the late afternoon and continue until evening. Click Here for a copy of the Airshow Poster and information. This weeks slightly surreal desktop picture download is a shot of the Pitts Special of aerobatic champion Lauren Richardson as she displayed her aircraft at the Little Gransden Air and Car Show in the UK in August 2014. The shot was taken just as Lauren was at the top of a loop, perfectly backframed by the orb of the sun as it peeked out from behind some clouds. Click the image above to open the page containing a link to the full size photo you can download and install on your computer as a desktop wallpaper image. This entry was posted in Feature Videos on November 2, 2015 by Historical Aviation Film Unit. This week’s short Feature Video is one that we never expected to be able to film as it features a formation of three bomber aircraft built by Avro, each of which is very rare in its own right, meaning that the flight of all three together is almost certain to be a unique event. In August 2014 while the Canadian Warplane Heritage Museum Avro Lancaster bomber C-GVRA was in the UK it flew in formation with the Battle of Britain Memorial Flight Lancaster and Avro Vulcan XH558 between RAF Waddington in Lincolnshire and RAF Marham in Norfolk. 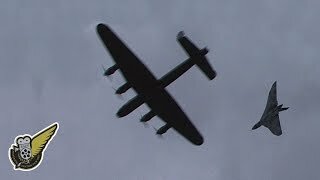 The video shows the end of that flight at RAF Marham as the aircraft fly over and the Vulcan leaves the formation for an airshow appearance further south at Clacton. Now that C-GVRA is back in Canada it’s extremely unlikely that a formation like this will be seen again, so it was certainly a privilege to be able to witness this unprecedented event. Due to increasing numbers of aircraft and a heavy ‘away shows’ commitment in NZ and overseas, our TVAL air shows are changing to accommodate more practice and handling for our pilots. Flying will now take place over the last weekend of every month from November to April. This season’s air shows commitment will unfortunately affect our new flying dates however we expect ‘the last weekend of every month’ to become the norm over coming seasons. Monthly flying will focus on handling and practice in the mornings and display practice in the afternoon with a late afternoon option to take advantage of the generally still evenings if weather has prevented flying during the day. The new flying weekends are casual with none of the previous air shows infrastructure, parking, food stalls etc, so bring your own seat and refreshments. Hangar tours will be offered outside of flying hours. Flying will be scheduled from 10.00am to 12.00pm and 2.00pm to 4.00pm Saturday and Sunday, with a Saturday only option of 6.00pm to 8.00pm if flying that day has been held up with weather. Additionally, the new flying weekends will see the introduction of the TVAL Supporters Club offering exclusive opportunities for private group displays, pilot presentations, and our very limited up and coming Wellington Workshop Tours. Remember that if you want to see TVAL’s four originals or rare reproductions flying, you’ll need to come to a TVAL flying weekend. TVAL’s replica collection and sometimes one or two of our reproduction aircraft will represent TVAL at other air shows. New WW2 DVD Bundle Offer: When we released the new Dogfight! World War One Aircraft DVD and BluRay we also offered it as part of a bundle with our older Classic WW1 Fighters DVD and this has proven to be very popular. We’ve had lots of people ask us if we can do the same with the Classic WW2 Fighters DVD, so we’re now pleased to offer that older title as part of a two disk bundle with our DH.98 Mosquito DVD (or BluRay) for those of you who haven’t yet picked up a copy. Check out the link at the right for a couple of reviews of the two recent releases. We’re looking forward to being able to catch up with many of you during at least one of the awesome flying events coming up here in New Zealand in the next couple of months. Roll on summer! NZ EVENT REMINDER – November 8th & 9th 2014: Armistice In Cambridge – This is the largest commemorative event in New Zealand that marks the Anniversary of the signing of the Armistice between the Allied nations and the German Empire in 1918, ending the First World War. 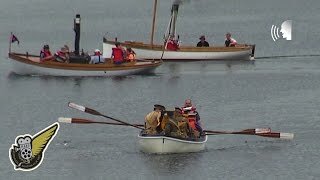 As with the event last year, this year the bulk of the show’s activities will be held at the Mighty River Domain park at Lake Karapiro, just 8kms south of Cambridge. For more info see the website at Armistice In Cambridge. NZ EVENT REMINDER – November 29th & 30th 2014: The Vintage Aviator Ltd Flying Weekend – This will be the first of TVAL’s new flying weekends which are scheduled to be run over the last weekend of every month from November to April (with some exceptions due to airshow commitments). As always the show will be held at Hood Aerodrome in Masterton. Flying will be scheduled from 10.00am to 12.00pm and 2.00pm to 4.00pm Saturday and Sunday, with a Saturday only option of 6.00pm to 8.00pm if the earlier flying that day has been held up with weather. For more information keep an eye on The Vintage Aviator’s F acebook page. Bring your own seat and refreshments. NZ EVENT REMINDER – January 16th-18th 2015: Wings Over Wairarapa 2015 – The first major NZ airshow of 2015 is on at Hood Aerodrome in Masterton in January. If you haven’t yet got your travel and accommodation plans sorted out then now would be a good time to start getting them sorted out. As always the airshow will be held at Hood Aerodrome in Masterton. For the first time, Wings 2015 will be a FOUR day aviation event combining three flying display days, an adventure aviation rides day, a tradeshow featuring a national UAV symposium and a two day UAV trade exhibition by the New Zealand Unmanned Aviation Vehicles Industry. For more info see the Wings Over Wairarapa website. 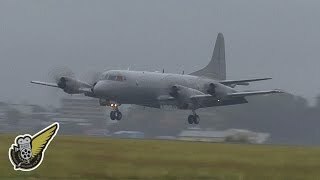 Canberra XH134 as seen at the Sywell Airshow in August 2014 — this is the only airworthy Canberra of its type in the world and is run and maintained by the Midair Squadron in the United Kingdom. 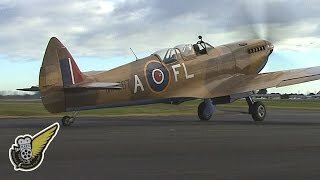 This entry was posted in Feature Videos on October 27, 2014 by Historical Aviation Film Unit.